A TIME TO BE BORN ARTHUR BRINKLEY GREEN, was born to Viola S. Harrison and James Eddie Green on in Greentown, Virginia. A TIME TO PLANT Arthur B. Green, affectionately known by some as “Bart”. Arthur attended the Greentown Public School in Greentown, VA. He later attended the St. Paul High School which later was changed to St. Paul College. Arthur was drafted into the United States Army which he was stationed in Germany. He served three years and was later discharged as Corporal. Arthur married his first wife, Gloria, after leaving the Army, which she pre deceased him in 2003. Arthur later married his loving second wife, Janice Scott Green, whom he spent the rest of his life with. Arthur gave his life to Christ at an early age. After Arthur became very ill, Janice became his caregiver which she enjoyed taking care of him very much. 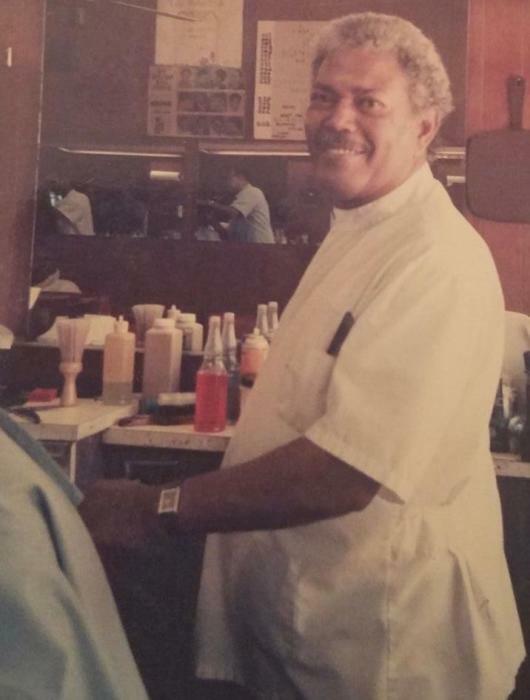 In 1969, Arthur owned and managed Arthur Green Barbershop in East Baltimore where he diligently worked Tuesday through Saturday until his health declined. Arthur had a very colorful personality. He enjoyed life. He loved being the center of attention; always had a story to tell, which always made you laugh. Arthur loved spending time with family, cooking (fried potatoes and cabbage) and the casinos. A TIME TO DIE On the sunrise of February 9, 2019, Arthur was called home to be with the Lord. He left to morn his loving wife, Janice Green, son, Troy Watson, two stepchildren, Shemiah (Brittany), which Arthur called her “Brenda”, and John (Tenia), grandsons, Jordan and Brent, granddaughter, Brittany, Mother in-law, Beulah Scott, (John Scott – deceased), Sisters in-law, Pamela Walker (Rev. Maurice Walker), Monica Turner, Brother in-law, Michael Scott (Karen), two sisters, Eloise Green Terry (Samuel) , Juanita Green Johnson, (husband deceased), one brother, Elbert Green, host of nephews, nieces, cousins and many friends. There were special people that helped with the caregiving of Arthur, Junior Parker, Herbert Green, Alonzo, Roosevelt and Devin Wilson (nephew) who called every night to crack a joke. Also a special thanks to Tammy.